Have you found a cat in your local area that you feel may be lost, injured or even feral? 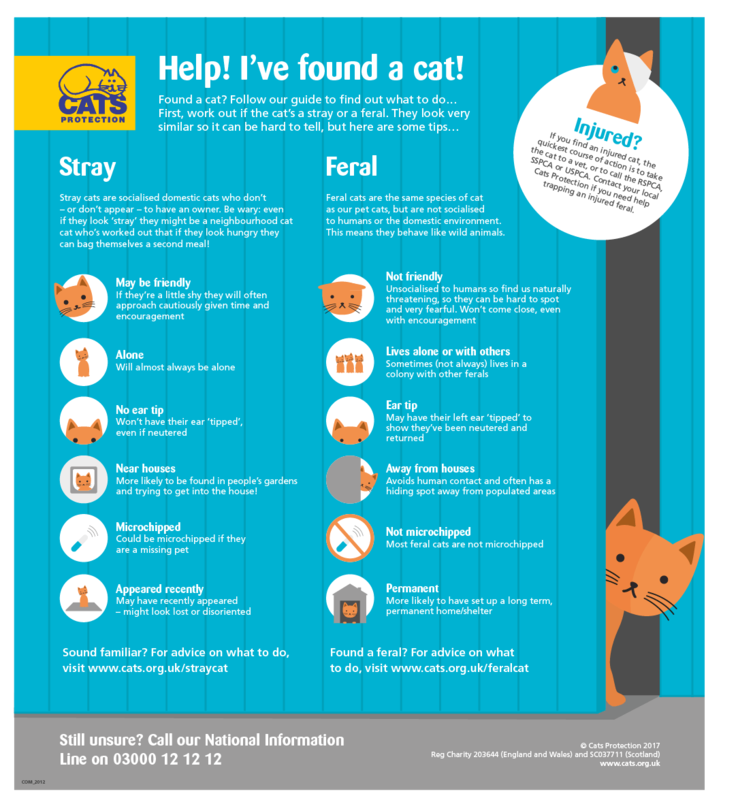 The poster below should help to provide you with a few steps to take to eliminate any possibilities the cat is owned locally or if feral prevent injury to you and the cat. Ultimately if you are concerned either call us on 01872 870 575 and we can advise you what the best thing to do would be. If you have found a cat that requires urgent veterinary attention you will need to obtain a log number from the RSPCA on 0300 1234 999 before taking the cat to a local veterinary practice for treatment. It is important that the RSPCA are contacted before taking a cat to a vets as emergency treatment will not be paid for without it.